Fraser Anning has refused to apologize for the content of his first upper house speech. But politicians across the spectrum were united in denouncing his words. Prime Minister Malcolm Turnbull and opposition Labor leader Bill Shorten gave passionate Parliament speeches Wednesday opposing Anning's comments. Anning also called for a complete ban on Muslim immigration and linked Muslim communities to terrorism and being on welfare programs. Turnbull said in his own speech, "Those who try to demonize Muslims because of the crimes of a tiny minority are only helping the terrorists." A member of the minor Katter's Australian Party, Anning was unapologetic about using the same phrase Nazi leaders used in planning the Holocaust during World War II. 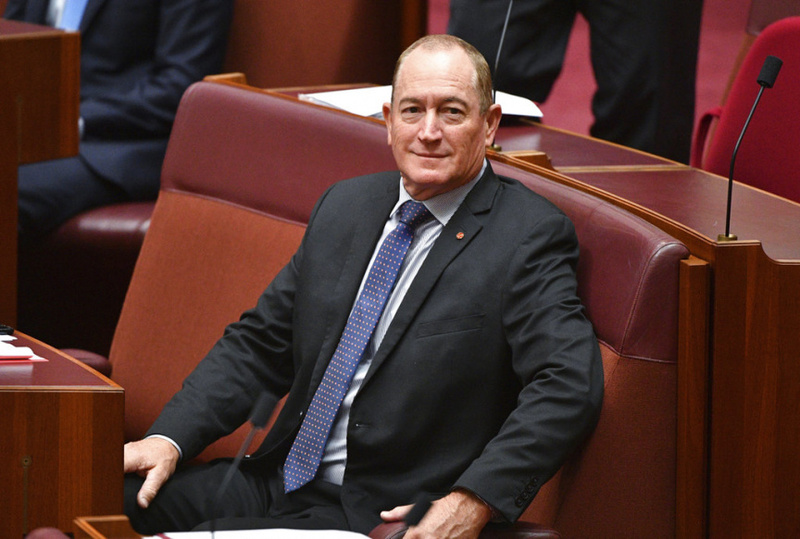 "The final solution to the immigration problem is, of course, a popular vote," Anning said in his Senate speech. He claimed to be simply referring to the "ultimate solution" to a political problem and said people who were offended took the two words out of context. Shorten said those two words evoke trauma and come from history's darkest moments. "Two words would speak for the brutalization and murder of millions. Two words that evoke fear and grief and trauma and loss," Shorten said.